Even though South Africa spends more on health care than most other countries, patient care in the public health sector continues to decline. Many times people go without the surgery they need because skilled doctors aren’t available or the waiting list is too long. South Africa has many medical aids schemes, all offering different deals. With medical aid quotes from a medical aid comparison site, it becomes easy to choose the medical aid closest to your requirements. Cape Medical Plan is different form the very small Cape Medical Scheme. CMP knows that the healthcare industry in South Africa is complex. Cape Medical Plan want their members to have access to simple, affordable, effective medical cover. Members have access to adequate information to make informed healthcare choices. But how does Cape Medical Plan compare with other medical aids and are they worth being considered against some of the other larger medical schemes? Bonitas understands that everybody is going to have different medical needs. 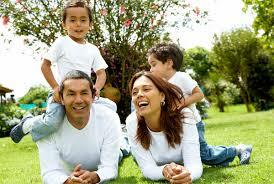 They have slightly different maternity benefits on the different options than other medical aids. They make sure that they have medical plans that suits you. Their plans are BonComprehensive, BonClassic, Standard, Primary and BonCap. BonCap is their entry-level product. This plan offers members access to network providers and hospitals. BonCap simply ensures that healthcare becomes more affordable for every South African. BonCap contributions are based on pensionable income. 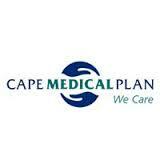 Cape Medical Plan started in 1961 and they provide reliable and simply comprehensive medical aid. All medical schemes must maintain a 25% solvency ratio. This ratio represents financial sustainability. Cape Medical Plan has a solvency ratio well above the legislated 25%. This is what ensures they can pay submitted claims within two weeks. With offices in Cape Town, they operate throughout South Africa. Unlike other medical aids, they manage themselves without an outside administrator. They don’t make use of brokers but perform all function in-house. With no brokers or third parties, Cape Medical Plan is able to ensure that more funds are allocated to health care expenses. Unlike other medical plans, Cape Medical Plan doesn’t have any corporate infrastructures and also no large budgets for non-healthcare expenses such as what Discovery has. The average person with Discovery medical aid plans pays in the region of R160 each month out of their premium towards non-healthcare costs. Members feel Discovery is benefiting at their expense. While most schemes in South Africa build the cost of administration into their members’ fees, almost 99% of Cape Medical Plan members’ fees are paid out as benefits. One of the smaller medical aids in South Africa, unlike Discovery Health, they maintain a close connection with their members. Medical aids in South Africa provide basic but essential services in their varied medical plans. Hospital plan insurance is an excellent choice for anyone who is fairly healthy and doesn’t require doctor visits and hospitalisation. Medical schemes such as Cape Medical Plan, Genesis Medical Aid, Liberty Medical Aid and Momentum Health all offer cheap hospital plans for people who don’t visit the doctor often. There are many cheap medical schemes in South Africa. Before you choose one, take your health care needs into account before settling on a good quality cheap medical aid. Cape Medical Plan offers their members 3 uncomplicated plans – HealthPact Premium which is affordable hospital cover, HealthPact Silver which is hospital cover with specific day-to-day benefits and HealthPact Select which is their comprehensive cover. Excellence is the benchmark of South African medical aids. With newer regulations, some of these plans are required to offer preventative care services at no charge such as doctor visits. Cape Medical Plan is cheap medical aid, preferring to work hard for their members. They work towards keeping premiums as low as possible while still being able to offer the best there is.